Classroom management can be so tricky. Classrooms today are FILLED with such a variety of children who are growing up in a very different world than children of 20 years ago. As teachers, we often say ” kids these days…__________”. You finish the sentence. But the reality is, parents of today are also different. There’s a real active vibe to life where “anything goes” and our children are growing up around it. I have been using #mindful learning in my classroom for several years. It is a combination of the Mindup program by the Hawn Foundation, bucket filling based on the ever popular book Have you Filled a Bucket? and Superflex and it is really effective. But as you know, every class is different. Heck, every day is different and sometimes a student is different depending on what is happening in the day. This classroom management business is tricky business!! We have all be at this game long enough (or maybe you are new and want to know more) to know that even though you have a fabulous class there is always that one child (if not a couple more) that can upset the whole apple cart. That is why I thought I’d create something that would be quick and easy for teachers to use when nothing else seems to be working. When I did my student teaching 20 something years ago, I learned about classroom management. It was from a text book of course but I learned all about student motivation for their behavior. This information has served me well so I have included what I have learned over the years in this new pack. 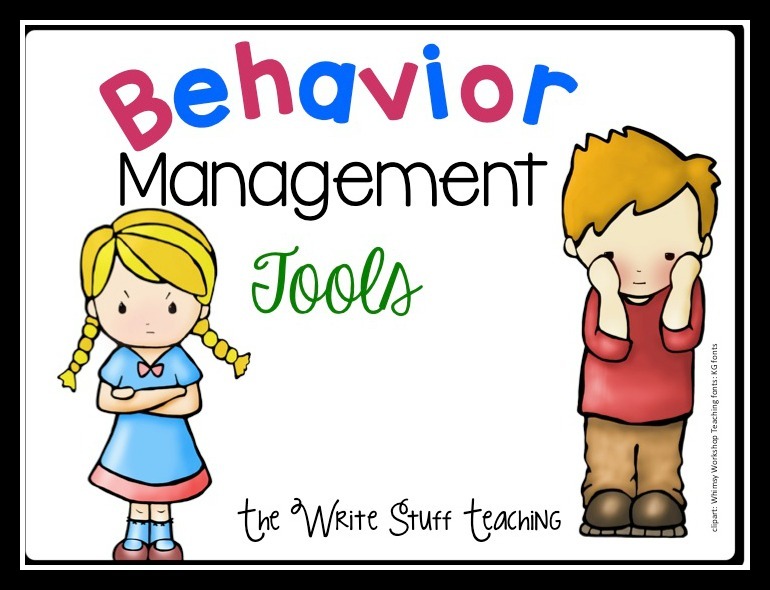 I have also included different examples of positive and negative reinforcement and printables to help you integrate these strategies in your classroom. Sometimes, you are really not sure WHAT is causing a child to act out. So, I have included an observation form that you or if you are lucky enough to have support, someone else can use to help you determine this. There is also a reflection sheet for students to use when they have some difficulties to help them process what happened and what they can do next time. Sometimes our classrooms are so teacher driven that teachers burn out. For this reason I have provided options for the teacher to keep track of monitoring the student behavior and the student to monitor their own. Sometimes it needs to start with the teacher and then the teacher scaffolds the learning to a self management system. One of the biggest mistakes I used to make when I first started teaching was picking a strategy and then trying it. When it failed, I tried harder. (Never give up, right?) It wasn’t until I realized that not every student will respond to a certain strategy that I began mixing and matching and just simply finding what worked for individual students. Sometimes you need to use it on the whole group to build a sense of team or #tribe that brings the kids that need it most into the group. Once you are able to determine the motivation for misbehavior you are on the road to help your students to feel empowered in a positive way towards good behavior and learning.